This is my post about low block heels. Is that “low, block” or “low-block”? Does it matter? I couldn’t be happier about the return to sanity. High heels are really bad for the feet. And the spine. And the back. And the knees. Is that all? No, that’s not all. High heels may also be bad for the circulatory system. 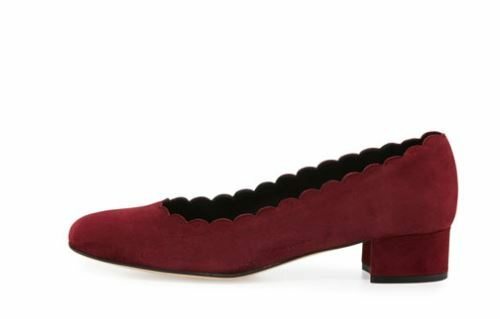 I did a little scouting for you, for us, and make the following recommendations for investing in a pair of low block heels (when unsure, it’s best to remove all punctuation) as a hedge against the next period of madness . . . which will probably begin in AW 2017, SS 2018 at the latest. 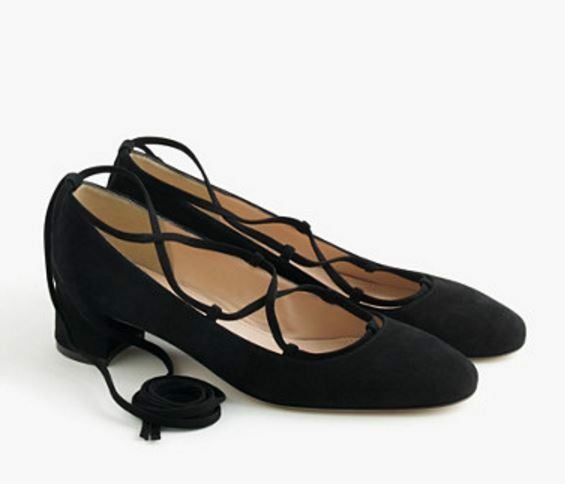 JCrew Lace-up Heels in Suede; maybe the lacing is too trendy for long-term use? 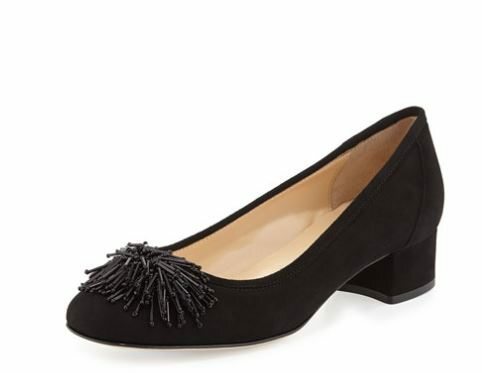 Tory Burch Evelyn Block Heel (Bloomingdale’s exclusive); the mirrored heel might seem tacky, but it actually works when worn on the feet and the feet are placed on the floor; perhaps the cat will think your shoes are tacky . . . 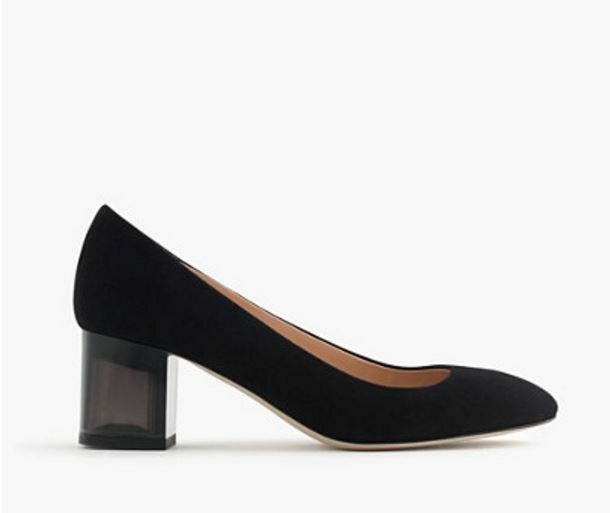 If you don’t have a pair of low (i.e., manageable and comfortable) black heels, you need one. This is me, The Directrice, using the imperative voice. 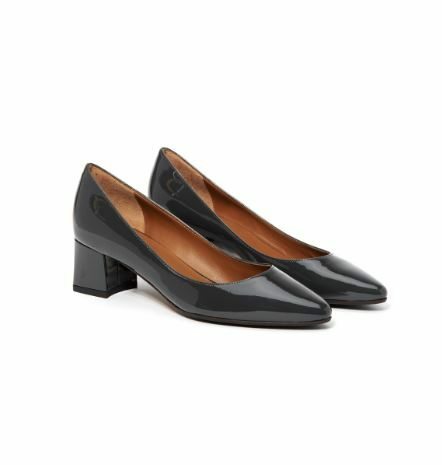 You will wear your sensible heels to court, to important meetings, to funerals (sad, but unavoidable), and to other events that require business attire. You might only need them four times a year, but when you need them, you really need them — and you don’t want to be frantically trying to buy a pair the weekend before such a date. Any of these pairs will last years if you don’t get caught wearing them in a sudden downpour. The Aquatalia Pheobe may get a special nod, despite the cost, because they are waterproof. I can’t help but think that it would be such a gift, a luxury worth the cost, to not have to outwit the weather every day. 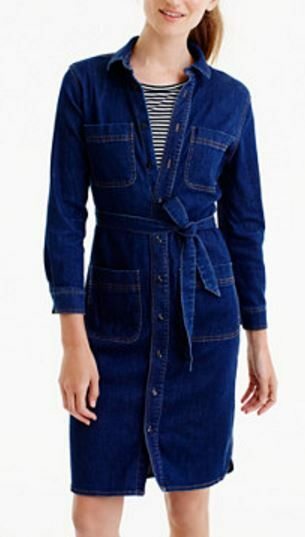 I also noticed these denim dresses during my Internet travels: two classic styles that you can wear over and over. I have an Ann Taylor denim sheath that I’ve been wearing for years. Sometimes I dress it up with a sparkly brooch. It can also be worn with a corduroy or tweedy jacket and boots in the fall/winter. 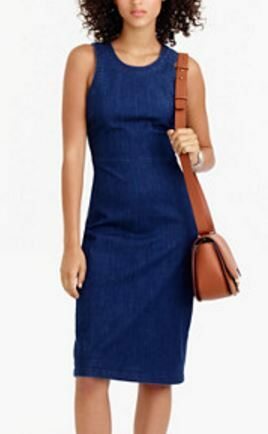 The chest pockets on this versatile shirtdress might be tricky, but not disqualifying; but you could probably remove them easily if they are too large or misplaced on your frame. 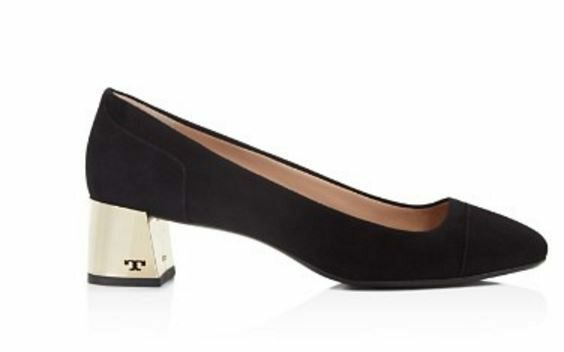 I feel so smart — just yesterday I thought to myself that I should order some block heels while they are still en vogue. I now have several pairs on the way. The aquatalia pumps are lovely. Yes! You must seize the moment because who knows how long footwear sanity will rule. I’m afraid that the block heels may say “Aunt Marge” when I wear them. I’m still wearing pointy flats and slight wedges… I will agree on this contention though – no high heels for me!